Watchman Nee examines the principles which govern the ministry of God's word with great discernment and always with an eye to practicality. He unveils the nature of New Testament ministry, unlocks the secret of God's word, unravels the various elements essential to an effective ministry, and uncovers the responsibility of the audience. Here is a book, then, which can be of real help to all who love the word of God, and especially to those who are called to be its ministers. Ministry Of Gods Word by Nee, Watchman was published by Christian Fellowship Publications Inc. in September 1990 and is our 51436th best seller. The ISBN for Ministry Of Gods Word is 9780935008289. 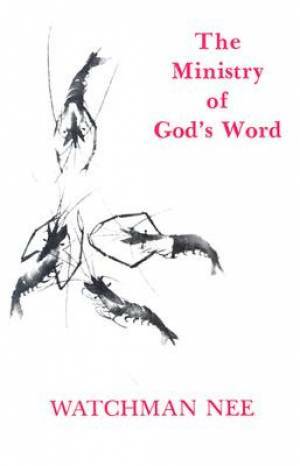 Be the first to review Ministry Of Gods Word! Got a question? No problem! Just click here to ask us about Ministry Of Gods Word.